As the other part of the world, tattoo is very popular in Bali. In Kuta it self houses close to 300 tattoo studio. Depending on which studio, making tattoo costs way cheaper in Bali then for instance Australia, USA, Japan or in Europe. Many tattoo contests and exhibitions are held here in Bali too. Whether you like it or not, it might be very entertaining to check out this unique form of art that have been around for thousands of years. Another airport closure, everyone. 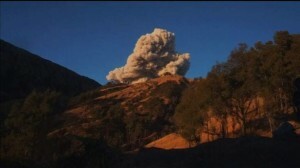 Since beginning of this year, here is the second volcanic eruption that caused Bali International Airport closure. This time Mt Rinjani in Island of Lonbok, and is among around 130 active volcanoes in Indonesia. The airport have been re-opened since few days ago, but it is always subject to change depending on wind direction. It is highly recommended to check with the airline before you travel. Have a safe and smooth travel.